Why Walking Your Dog is Necessary, Not Optional? | ESA Co.
Why Walking Your Dog is Necessary, Not Optional? Walking your dog offers so much more than just a good dose of exercise: it helps prevent boredom, keeps his mind stimulated and teaches him how to behave in canine company. It also offers a great opportunity for you and your little friend to bond and strengthen your relationship. An inactive pooch can easily become overweight, something that attracts all kinds of health problems. Even if your dog remains active indoors, he will still need another outdoor getaway to really pent-up his energy. Listed below are 7 reasons explaining why walking your dog is not an option, but a necessity. A dog that isn’t taken on regular walks can become physically and mentally inactive. When they are physically fit, that’s when dogs feel better, more energetic, tend to behave, and live longer. Dog owners frequently hear about the importance of socialization for puppies, especially in their first few infant months. Dogs that lose their social touch lose the ability to interact with people and other dogs which in turn can result in anxiety, phobias or even depression. Walking your dog helps expose him to the outside world, making your pooch friendlier when it comes to social interaction. This promotes an overall happy behavior as well. Walking and socialization can help entirely reverse behavioral issues. Dog-walking is a great way to provide structured life, something that helps improve his behavior inside the home. Dogs love structure: they crave it, seek it, and are generally much happier with it. When dogs live with humans, they need confidence so to be in line with the rhythm of their lives when it turns emotional and hectic. Dogs strengthen in confidence when they experience different things, see and smell different things and learn about the different aspects of the world. Walking provides them with a basic rhythm. A dog’s excitement that comes from greeting his owner after a long day is different from what he experiences when he is genuinely happy and fulfilled. A dog’s excitement can easily turn into aggression; and that certainly doesn’t imply that he is happy. On the other hand, fulfillment is a balanced and calm presence where a dog and his owner build a relationship on the basis of trust and respect; something that comes from walking together and having a good time. There are some breeds that tend to gain weight faster than others, but all dogs have the tendency to get fat if not properly exercised. An overweight dog is at a risk of developing a number of potential health issues, such as diabetes. 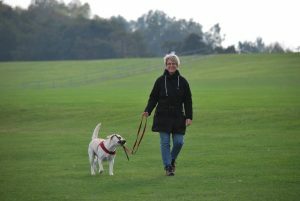 Walking is a great exercise that helps with weight control and adds more healthy years to your dog’s life. Like humans, dogs also need to interact with more than just their family members. We usually engage ourselves with technology and other means of activity, such as reading or drawing, but that is not true for your canine companion. Sitting in the backyard for long periods of time and running around in the house can become quite boring and repetitive for dogs after some point. Quality walks can greatly help reduce anxiety and feelings of loneliness in both you and your dog. 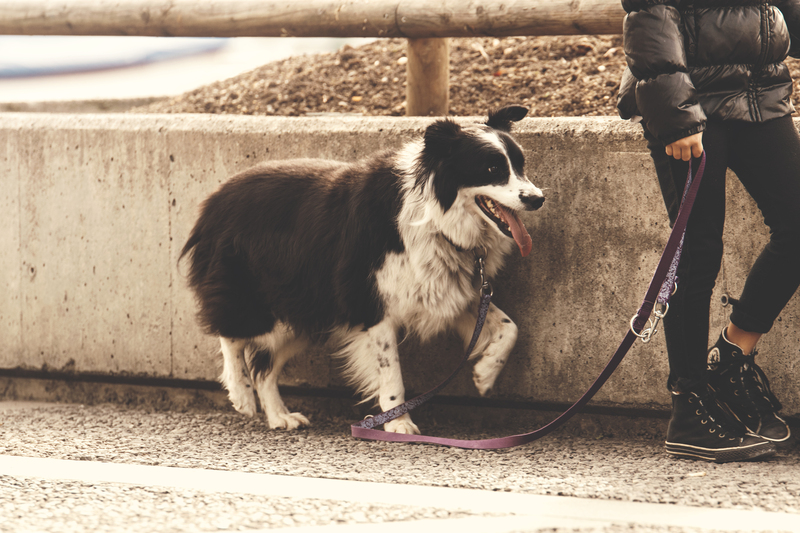 So the next time you find yourself making excuses to walk your dog, keep in mind the above mentioned benefits that will help the overall well-being of your dog. In addition to that, these walks may also be a great way for you to get some fresh air and make new friends.